Nothing fancy here, no special recipe or technique. 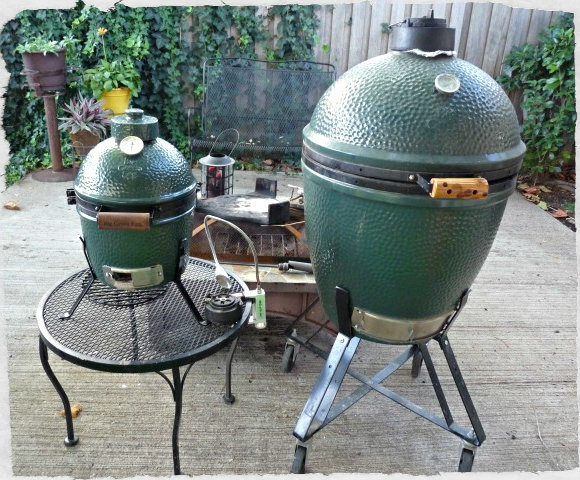 This post is more to highlight what the MINI Big Green Egg can do. 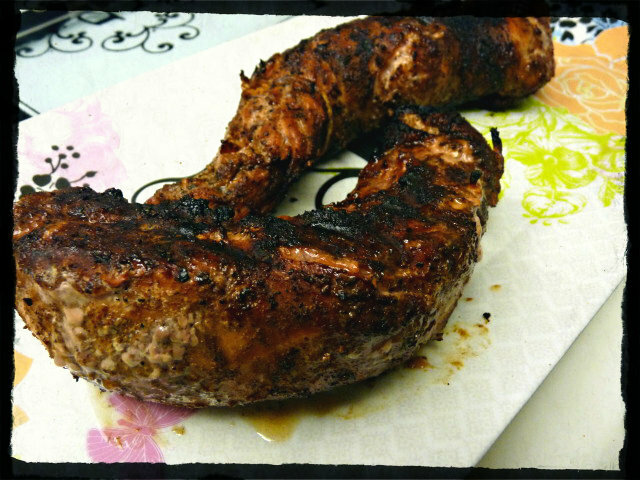 Decided to cook up some pork tenderloins Saturday night. They got a simple rub of DP Red Eye Express (a coffee-infused BBQ rub). I was going to fire up the Large Egg, but glanced over at the MINI. It still feels like a new toy to me, and you know how kids are with new toys. I thought to myself, “Bet the tenderloins would fit on it.” Got it fired up to 400F and tossed them on. Yep, they fit. Oh yeah, Jack Daniels wood chips for smoke. OK…I lie. I will give you one cooking tip since you were kind enough to drop in and see what we’ve been up to. You notice the butcher’s string in the above picture? Go ahead, take a look, I’ll wait…if you are familiar with pork tenderloins, you know that one end is thick and it tapers off into a much thinner end on the other side. This can prove a bit tricky when cooking them. You don’t want to over cook the thinner end. So what I like to do is to take the thinner end and fold it back on itself and either tie it off with some string or use a toothpick or skewers to hold it in place. The doubling up causes it to cook slower and you are left with a more uniform cook throughout the tenderloin. Getting done, the thin end on the tenderloin on the right slipped out of the string while flipping it. Going back to toothpicks next time. I thought I remembered tenderloins taking about 20 minutes at 400F on the large. On the MINI, they ended up taking about 30 minutes. However long it takes, make sure to cook to temperature and not time, though. My plan was to pull them at 140-5, but I got distracted watching my buddy’s kid. He just started walking 3 days ago and he was all over the place. He was having a blast and Bodi, our little Yorkie, finally found a friend his size to play with. So I think the tenderloins ended up coming off more around 160, but still plenty juicy, not dried up at all. Didn’t get any plated up pics, but the wife whipped up some mashed taters and some of the Pioneer Woman’s mushrooms. Good meal for sure. We’ve had the MINI Egg for about a month now. I knew it was going to get used when I got it, but I really didn’t know how much. It is quickly becoming our work horse here at the casa. It maybe small, but it easily handles the food for just the two of us. A large steak that we can split. Chicken breasts. Sausage. Mini pizzas. Even the unexpected gift of a wok that we recieved for stir-fry. And now pork tenderloins. Is the MINI for you? Maybe not, especially if you routinely cook for more than two. You’ll have to evaluate your own needs, but for us? We love it. Thanks, Adam. 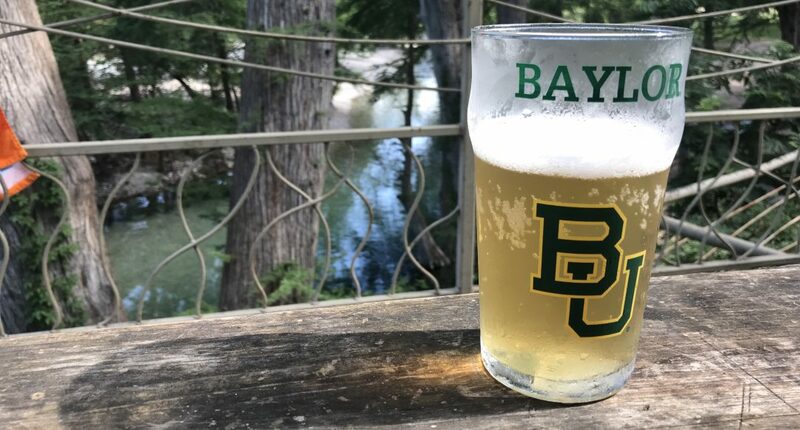 How are things in East Texas. I think that cold front just blew threw here. Hopefully Mrs. G will whip up some chicken and dumplings tonight. I asked here really nicely yesterday…. Looks great! Looks like you could have even fit another tenderloin on the mini if you wanted. Not sure another one would have fit, not to mention I think it would really have affected how long it took to cook. The two I did really dropped the temp and it never came back up to 400. Lots of cold mass considering the size of the MINI. Good tip on the thin end! Thanks. Wasn’t even sure I was gonna post today as I’ve done pork tenderloins with this same rub on the large, but figured what the heck? Then it occurred to me to throw that tip in and maybe it would help somebody out there. I am seriously considering getting a Mini to go with the Large and XL next year. 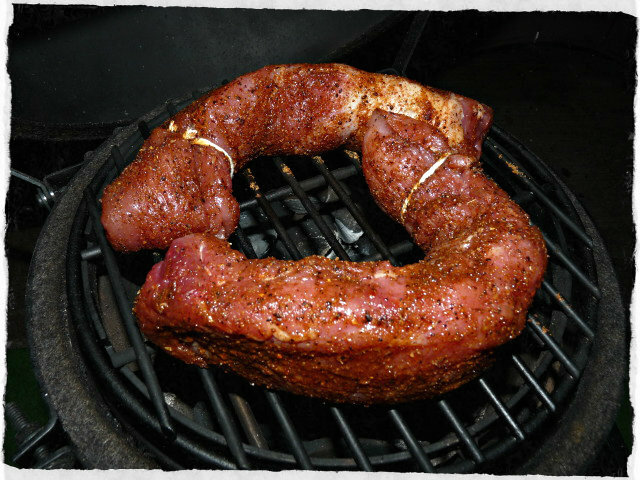 Have you tried hooking your mini up to your large to do some cold smoking yet? I think Adam in Minnesota does that and it’s one of the things I would love a mini for. My own smoked cheese and fish! No, not yet, but its on my list of things to try for sure. My wife wants a mini so badly. Yeah, pork tenderloins at 400f is about 20-21 minutes for me usually but even on a large I have had them run longer. 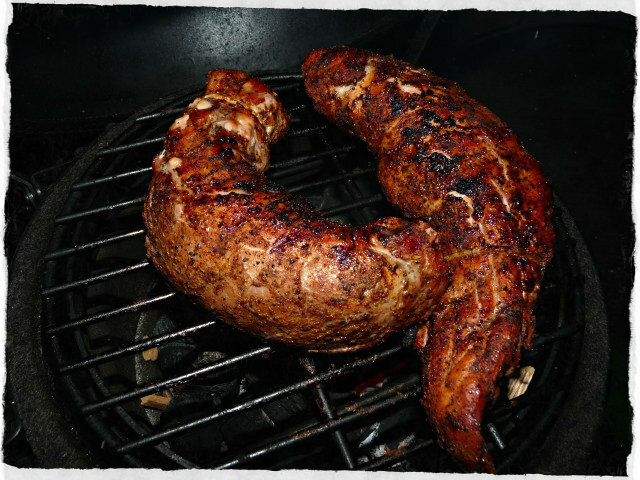 Okay, those look really good, but pork tenderloin always looks….um…..how do I put this? You don’t live next door to Lorena Bobbit, do you? Hahaha. Funny. I know exactly what you are talking about.